This turquoise and cobalt look from a recent Shopbop lookbook titled "Bright" caught my eye. The pieces making up this outfit retail for $1640. Click here for more information on the Shopbop look. If you love the look of the outfit above, I put together a similar outfit for less. 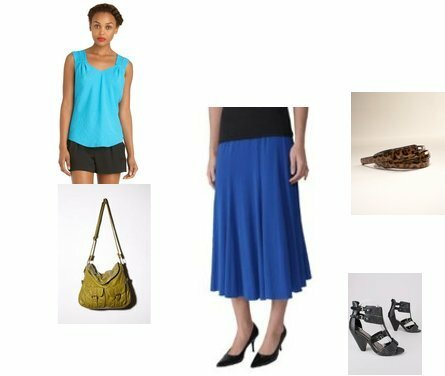 Most of the items can be clicked on in the image below for more information with the exception of the shoes (click HERE) and the skirt, click here. Total cost for my version - $195.49.